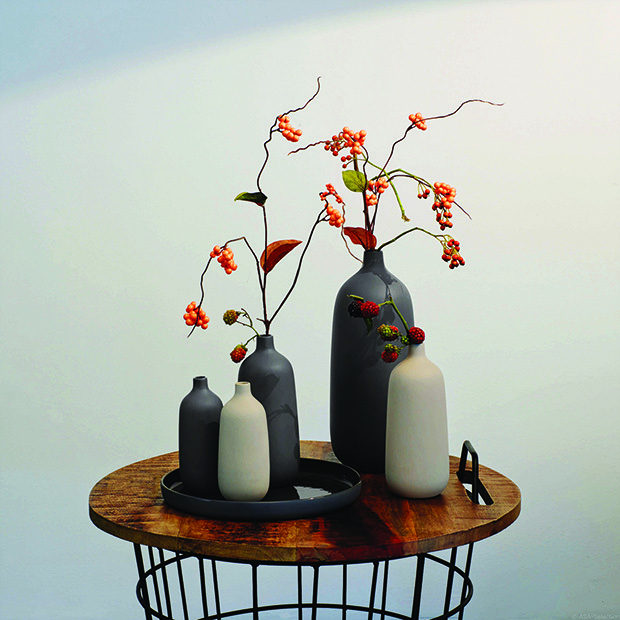 Part of the ASA collection, the delicate Nova vases in matte finish are created from rustic cement, proving that beautiful art is born by the hands and creativity of man. 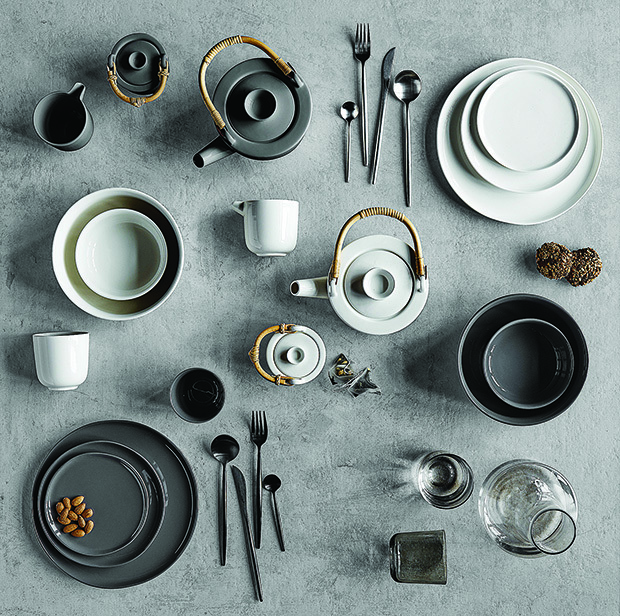 Nora dinnerware comes in two colours — grey and white — to support the brands two styles: Metropolitan and Scandinavian. The collection features materials like porcelain, bamboo, glass and stainless steel in mugs, tea pots, cutlery sets, serving bowls, glassware and platters. 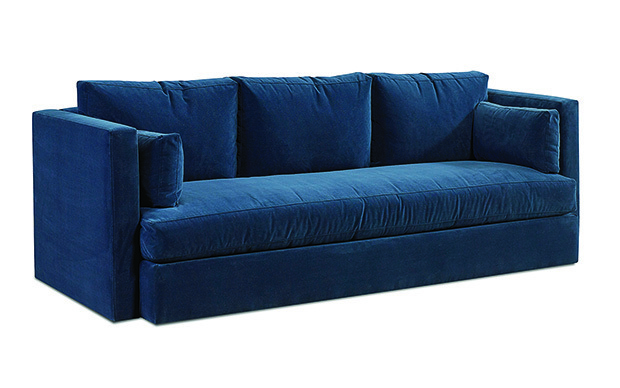 Sink into the luxurious double layered soft linen seat cushions of the Alto sectional sofa. It features timber armrests between the seats to perch a drink, or to hold your remote controls. Modern in style, the Lyric sectional sofa is meant for music lovers, thanks to the pre-integrated audio kit with speakers in the sofa. 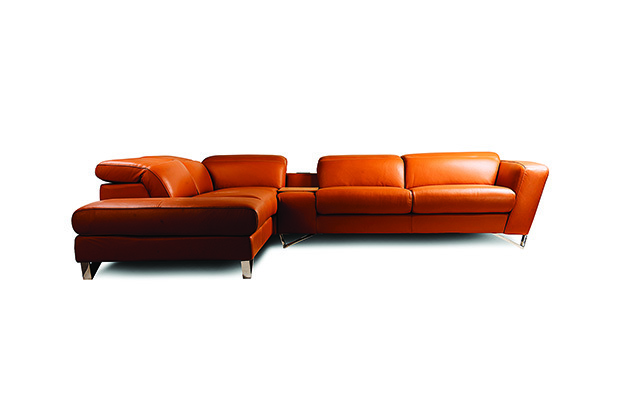 Made of premium Italian leather, the sofa is an amalgamation of state-of-the-art technology, innovation and extreme comfort. 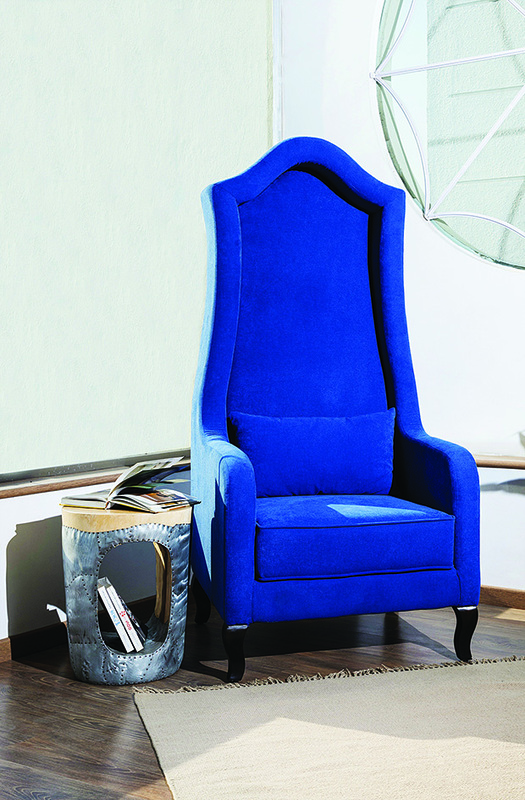 Addressed as the Queen of Love and Little Prince of Love, this chair and pouffee from Italian brand Slide celebrates the recyclable linear polyethylene. 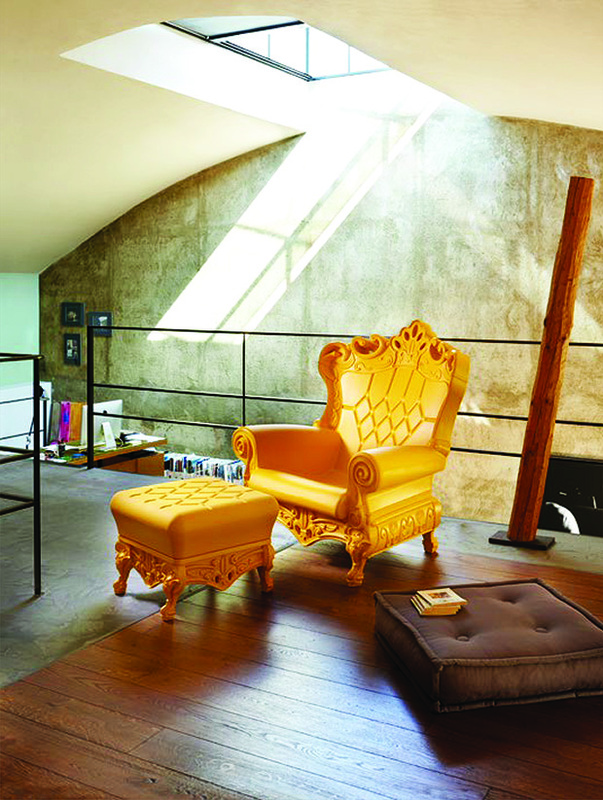 The series reinterprets Baroque furniture in a Pop way. 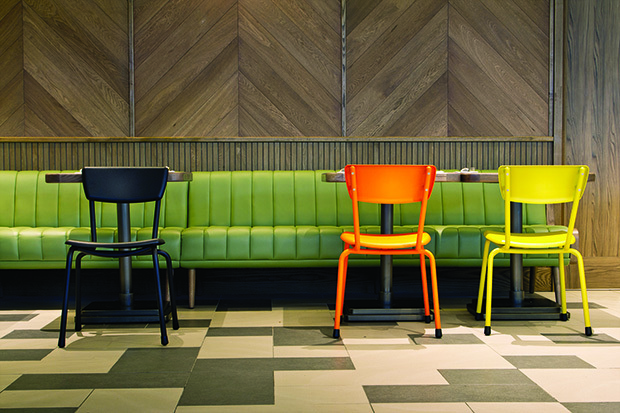 The smooth spring mechanism of the Karma Chair lets it tilt and settle back to its original position with ease. 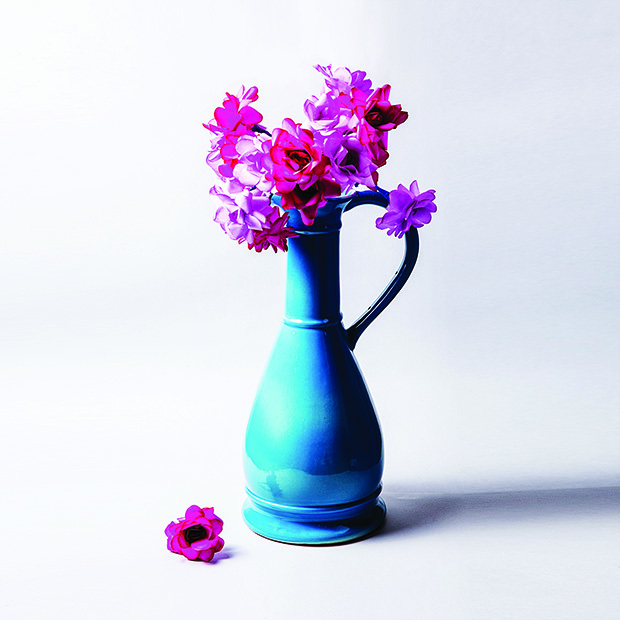 The ceramic Aqua Pitcher inspired by spring floral prints is perfect for a home with a shabby chic decor scheme. 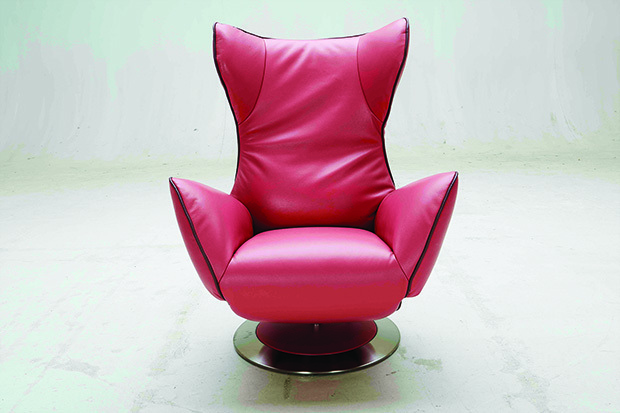 Bot, the capsule chair, will grab eyeballs with its stunning red colour and unique shape. 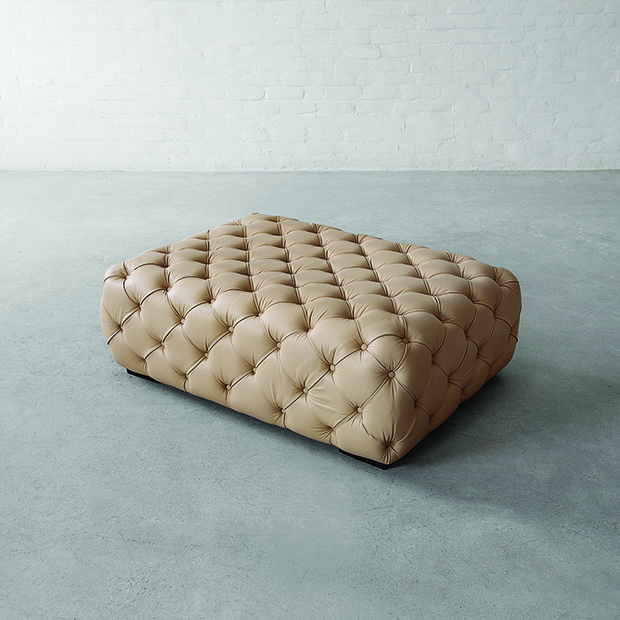 It is crafted from polycarbonate material and has a leather tufted seat and back. 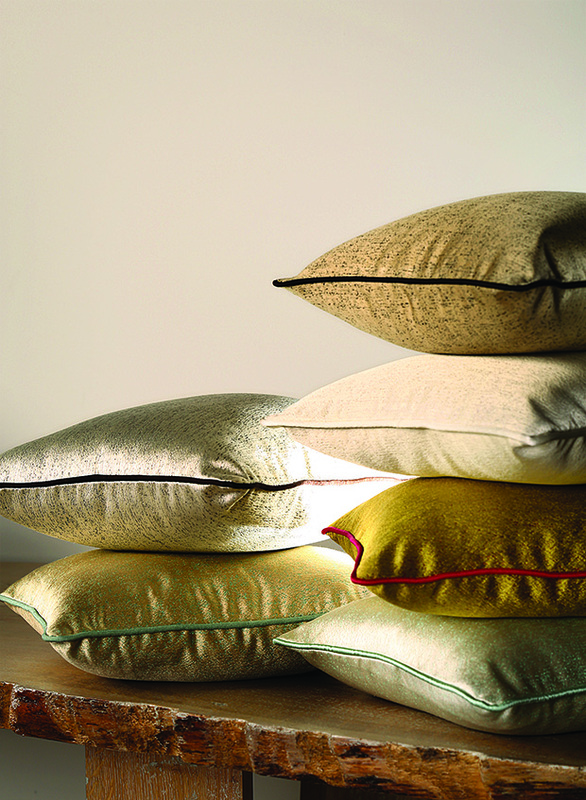 The dotted texture of the Menlow fabric is woven out of lustrous yarns in modern sophisticated tones. 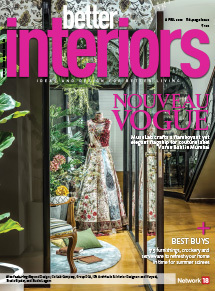 The fabric can be used to make cushion covers, table runners and other furnishings. 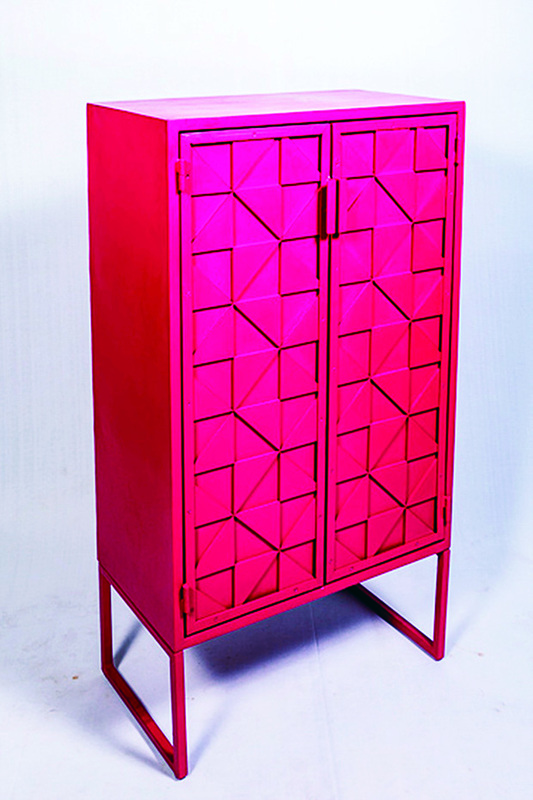 Made of iron, this gorgeous Fuchsia Pink Cabinet will raise the quirk quotient in your space. The geometric pattern on the doors adds to its elegance. 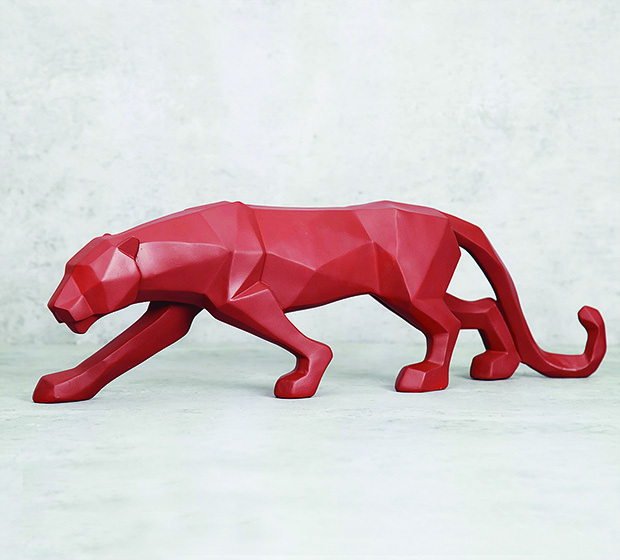 Add some class to your living spaces with the detailed animal figurines — Dominant Panther, Hoofed Giraffa and the Masai Throttle Elephant. Made of polyresin, these stunning scuptures are available in a variety of hues. 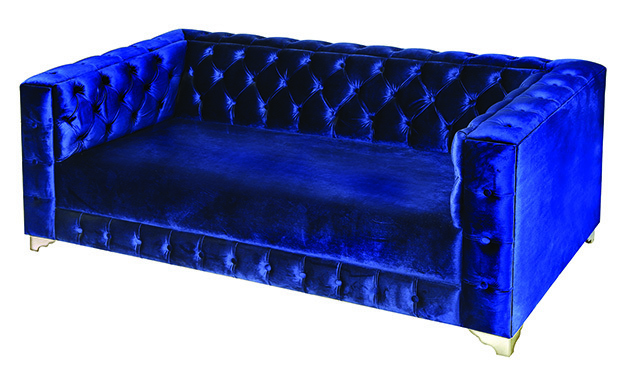 The royal blue Chesterfield sofa covered in chenille fabric would definitely bring some glamour to your living room decor. Exuding the shapely, earthy quality of handcrafted ceramics, the Jemma table top accessories from Ashley Furniture Home Store are simply stunning. 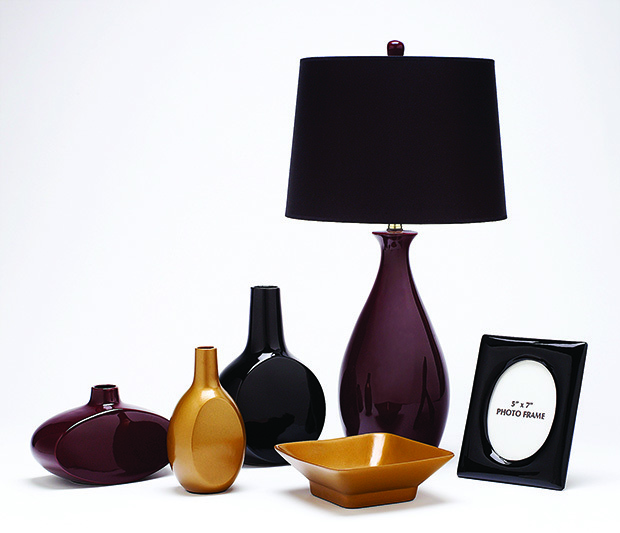 The range includes a photo frame, decorative bowl and three vases in black, gold and burgundy colours. 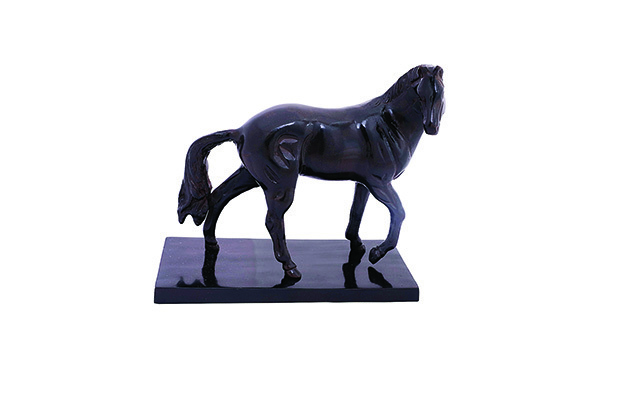 What can be a better center piece for the console than the black stallion sculpture standing oh so proudly? 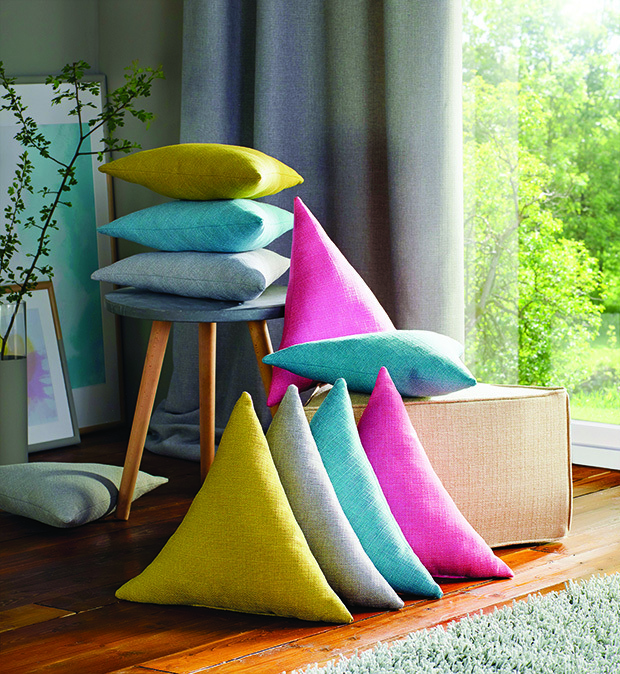 Find the perfect shade from the Clarke & Clarke’s Brixham fabrics to make curtains or cushions that’ll complement your decor. 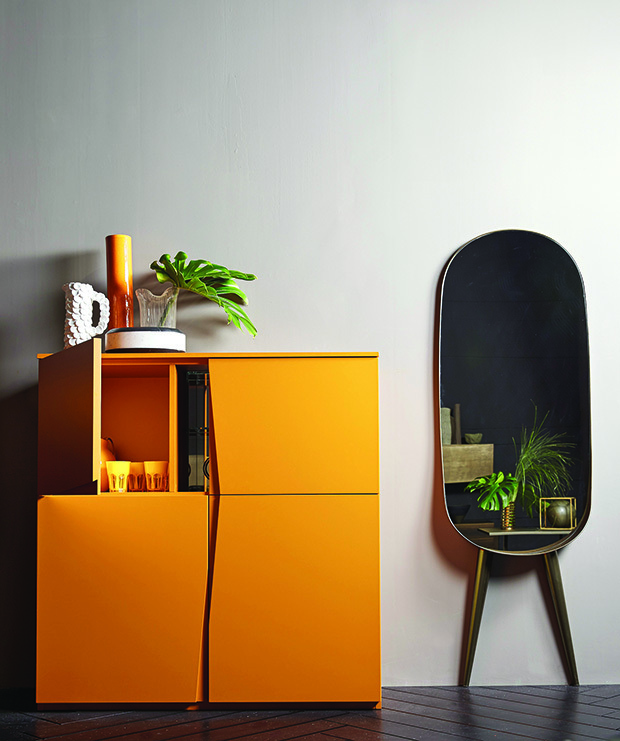 The mustard-coloured designer chest of drawer by the Italian brand EmmeBi is crafted from premium quality wood, and coated with a matte lacquered finish. 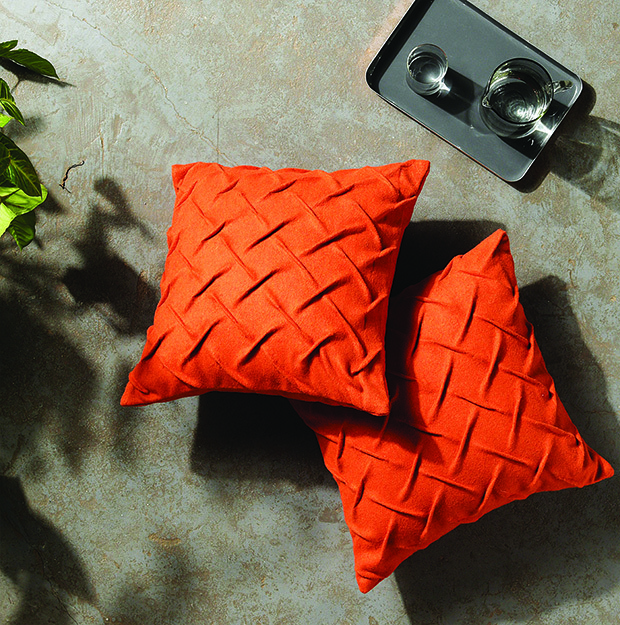 Make your home ready for intimate get-togethers with these cosy Amber Felt Smocked Cushion Cover plopped over your seaters. 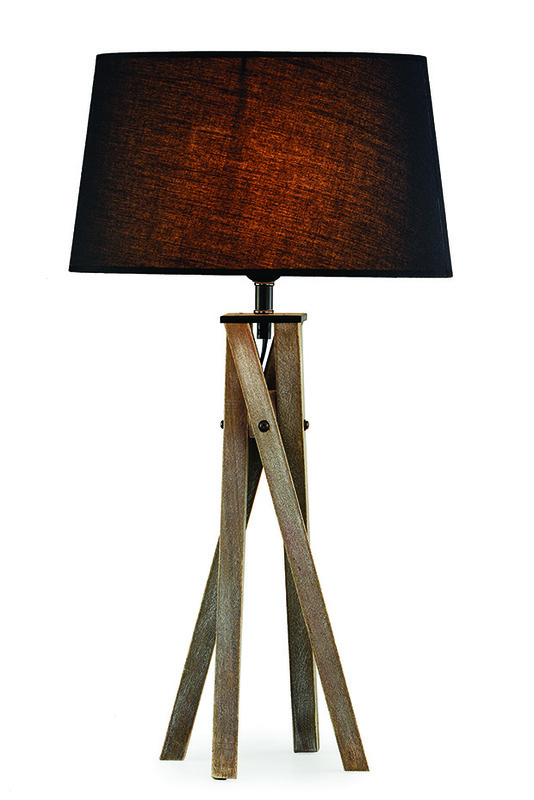 Simple yet stylish, this lamp has a wooden base and a shade made of canvas. 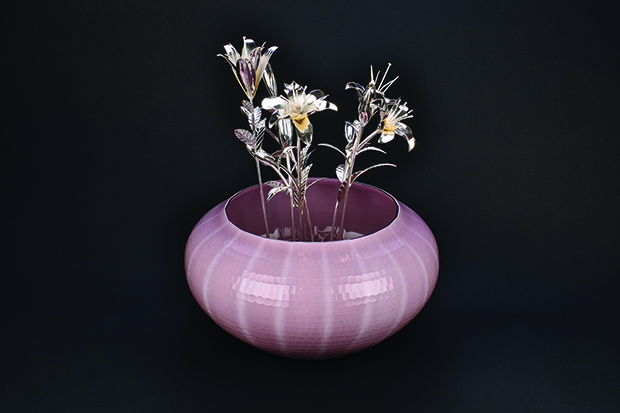 This delicate looking glass flower vase in a baby pink colour comes arranged with pretty little sterling silver lily stems. The lustrous curves and high back of Hoody gives it a distinctive look. 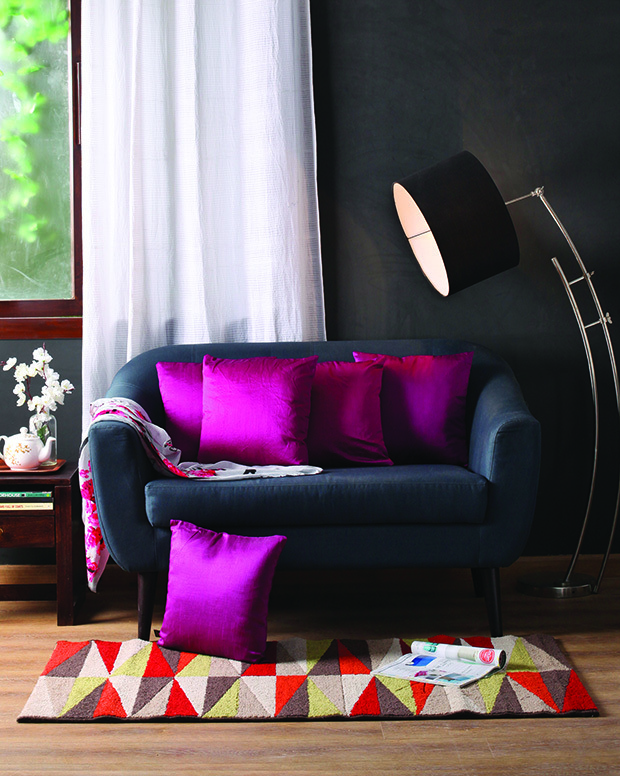 It would bring elegance to any corner of the home. 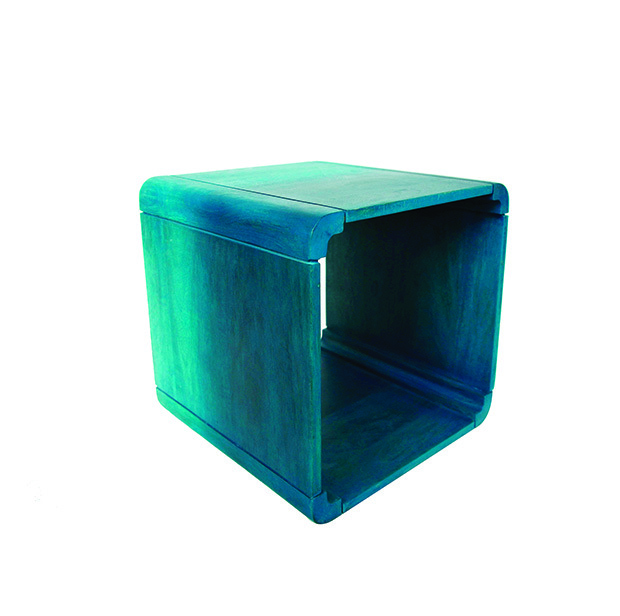 Mica from Hong Kong-based Maiori is produced under rigorous sustainable standards. Mica offers a full aluminium T6 body, skillfuly bent and stamped, and finished with oven cured powder coating. Its perfect for use in the kitchenette, lounge or al fresco. 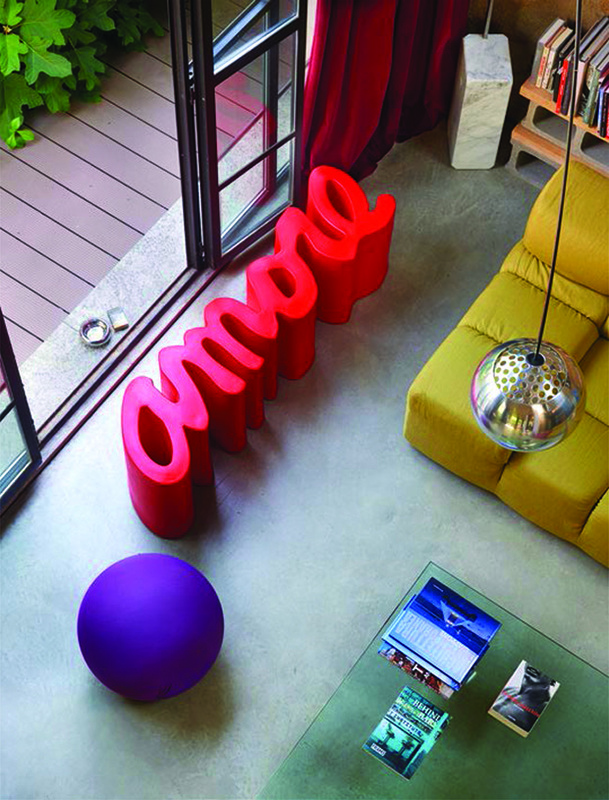 The eye-catching Amore bench from Slide in polyethylene represents the synthesis of the main characteristics of the brand’s production. 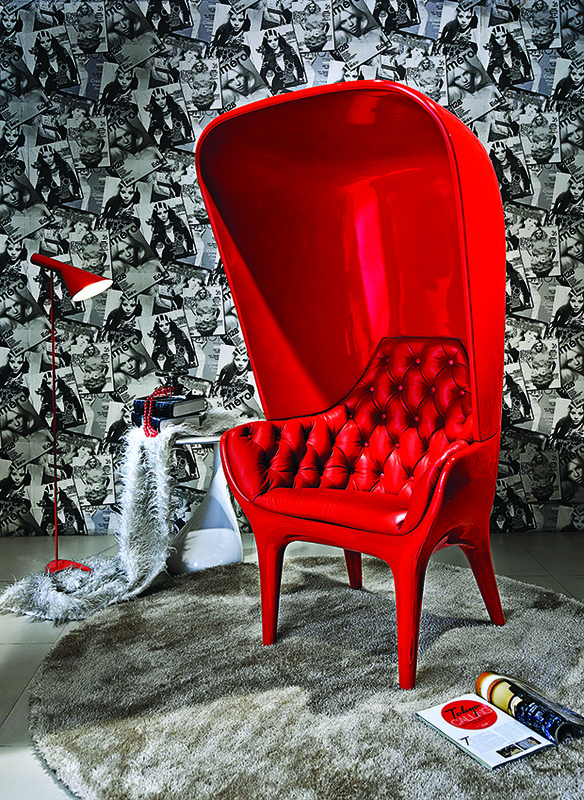 Love (which is “amore” in Italian) for the colour, love for the original design and love for the unusual shapes. Made from the finest of suedes, cushion covers from the Riah Rust collection come with fringes which adds to their glamour quotient. 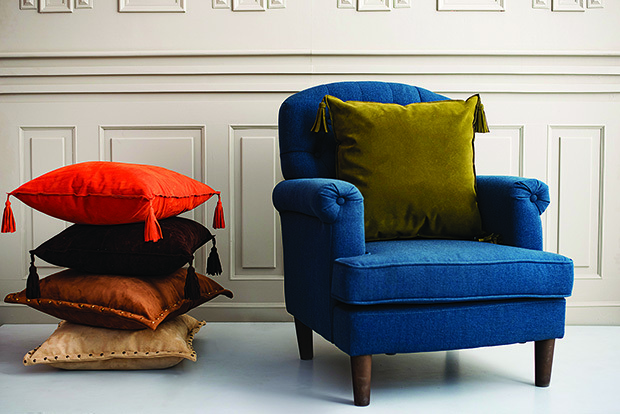 Each cushion cover exhibits the variations that are unique to natural suede — its beauty will only improve with age and use. 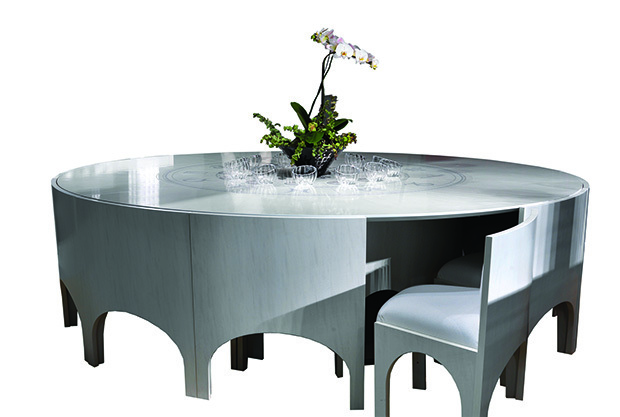 The Coliseum Dining table is an intelligent piece of furniture as it includes MDF chairs that slide underneath the table. The table top features inlayed zodiac signs, and a base made of shiny stainless steel. 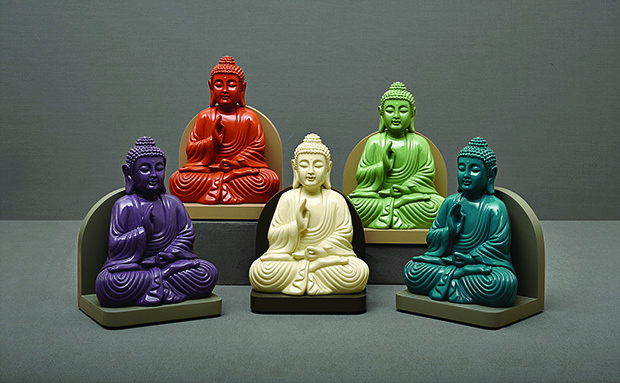 The solid-hued Buddha statues are multi-utilitarian — use it as a book end, hang them or place them as decor item. Available in five colour options. 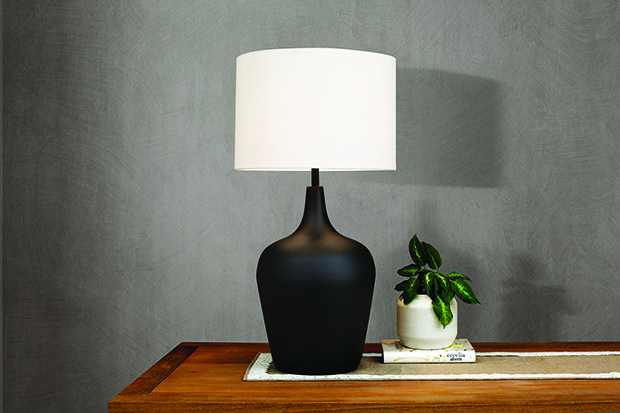 The Belford Table Lamp offers four different design options to choose from. 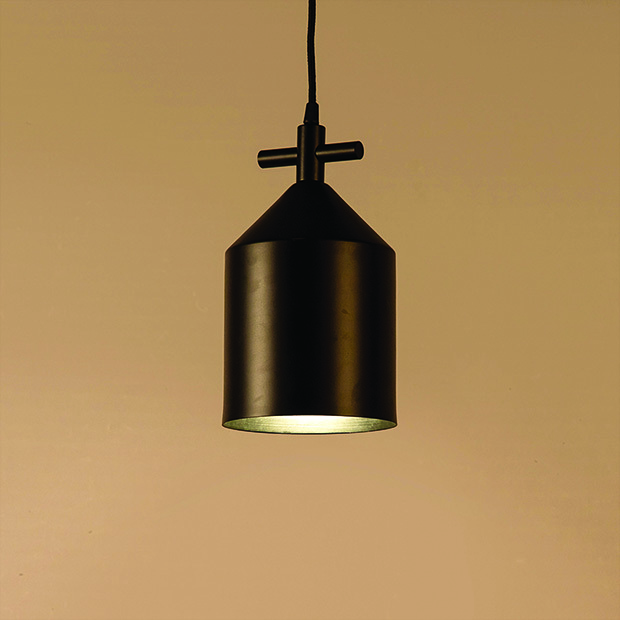 Each lamp is unique in shape and form, and made in rough black powder coated aluminium to give them that distinct texture and character. or rest your head for a nap. The Beatles Pendant Lamp is crafted from feather and black cement and is encased in a brass plated MS wire-cube. The Hunan lamp celebrates beauty in imperfection and irregularity. 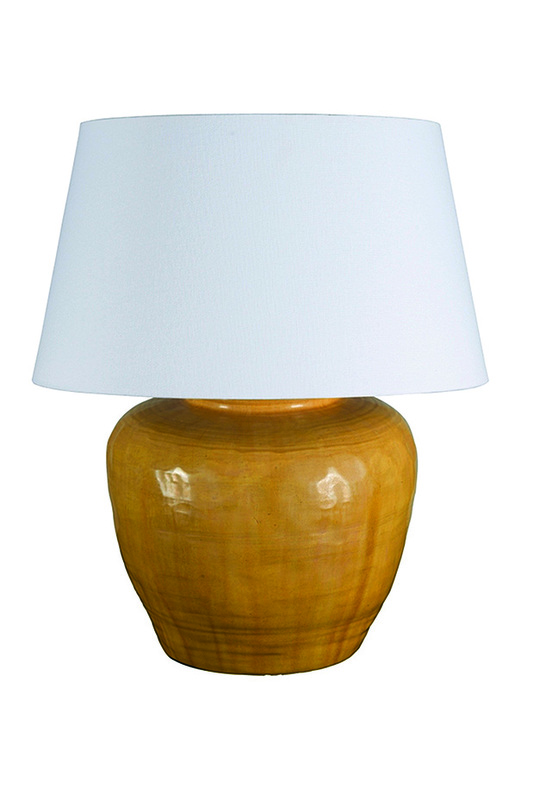 The lamp with a yellow glazed base and a white shade is handmade in Beijing.